While we often hitch a ride with our friend Cort for errands, propane refill & lunch at one of the nicer restaurants north of George Town up near the Sandals Resort, we had yet to bug him sufficiently to head south. 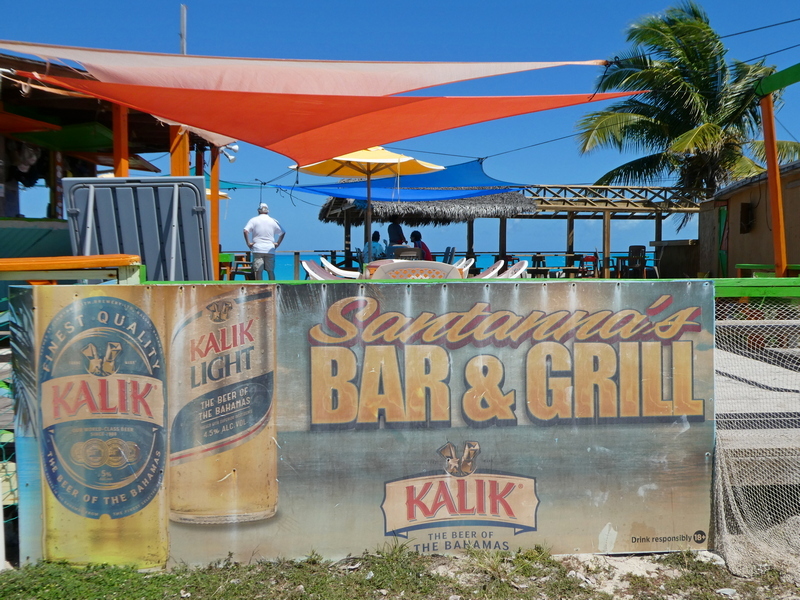 Santanna’s, we heard, was a “real” beach bar. Johnny Depp ate there while filming one of the Pirates Movies … maybe. Our friends Mike & Ann on Traveling Soul graciously asked us if we wanted to join them in their rental car driving south – Of course! 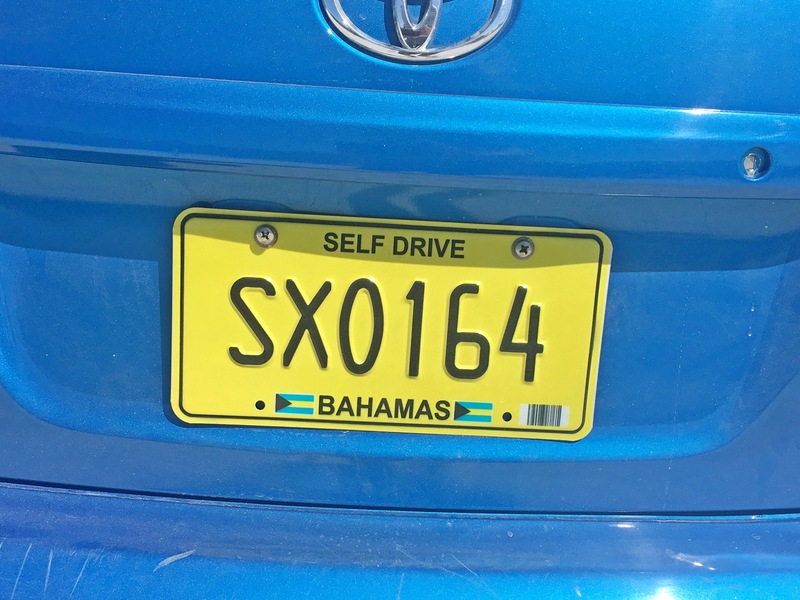 Bet you didn’t know that the Bahamas is the secret testing grounds for self driving cars! So off we went. Santannas’s was indeed a treat. Great food & a fantastic beach view. As with much of the Exumas, the seafood is mostly fried but they did a great job preparing fresh grouper & lobster. Ladling rum over our rum cake! 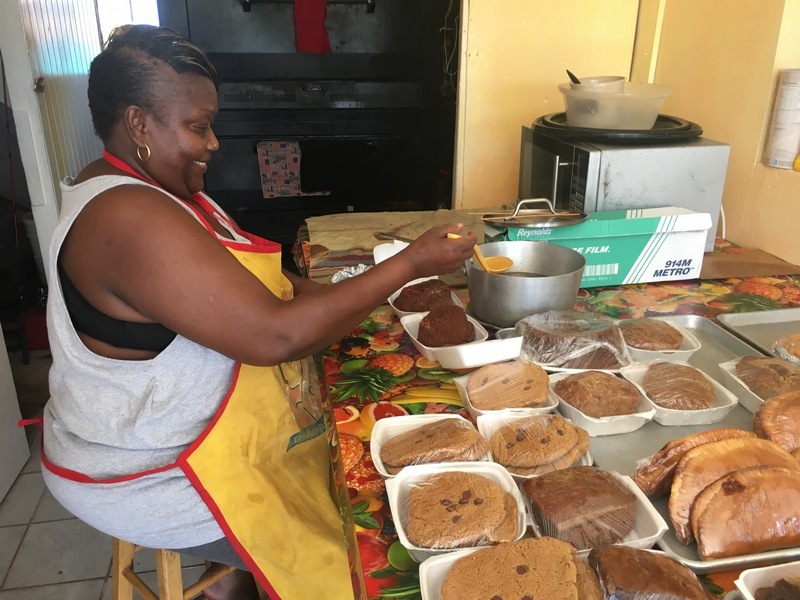 The “real” reason to visit the “real” beach bar was to visit the only “real” bakery on Great Exuma (actually Little Exuma), Mom’s Bakery! For many years Mom had loaded up her van with goodies & would drive to George Town, parking under the same shade tree for the cruisers to stop by. Unfortunately, she became ill & stopped the year before we started cruising. Her daughter(?) kept the bakery going, but didn’t continue the Mom’s van tradition. Mom’s Bakery is still in business & conveniently located right next to Santanna’s. 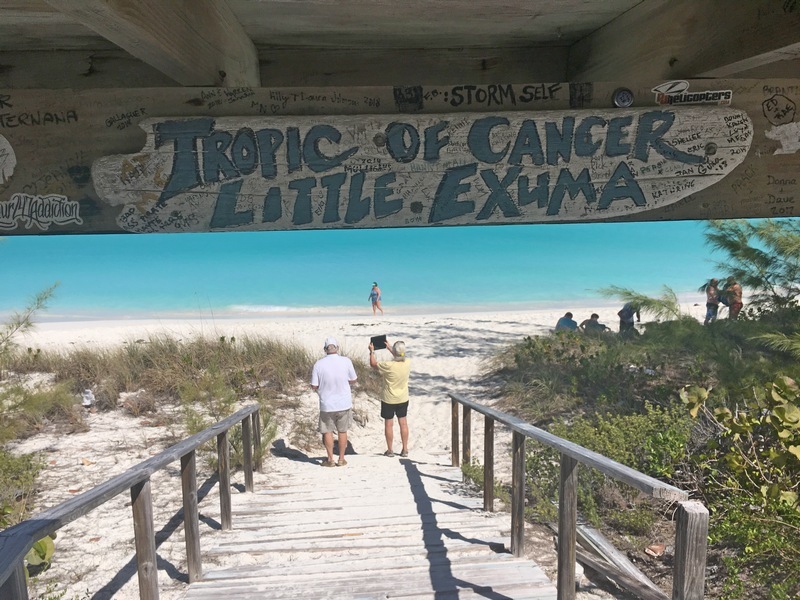 Onward to several other points of interest, we stopped at the Tropic of Cancer Beach, where the Tropic of Cancer crosses Great Exuma. On our prior sail catamaran we sailed south of this “most northerly circle of latitude at which the sun can be directly overhead”. Next stop was the “famous” Salt Beacon. 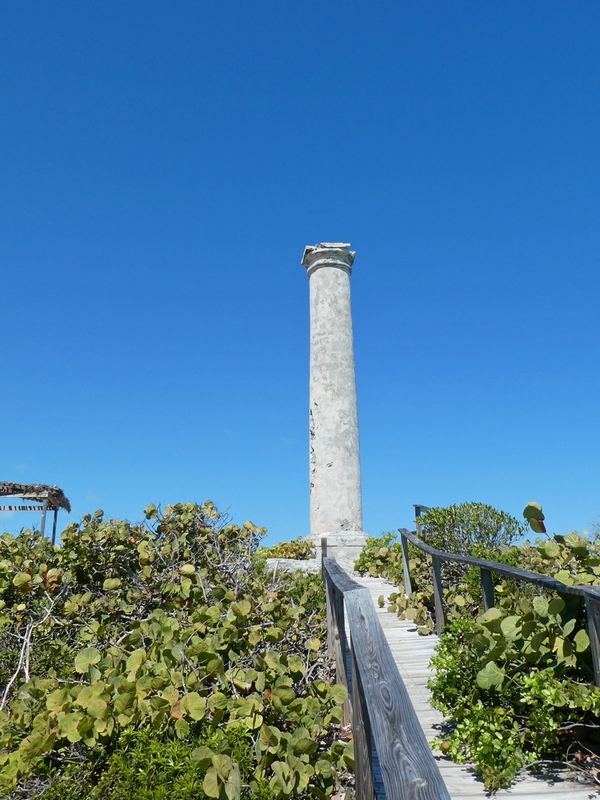 This Roman Tuscan Column was erected during the vibrant salt trade in the 1600’s to guide ships from various parts of the world to anchor & load up with salt. Actually, the Spanish arrived even further back, in the 1500’s to establish a salt colony. 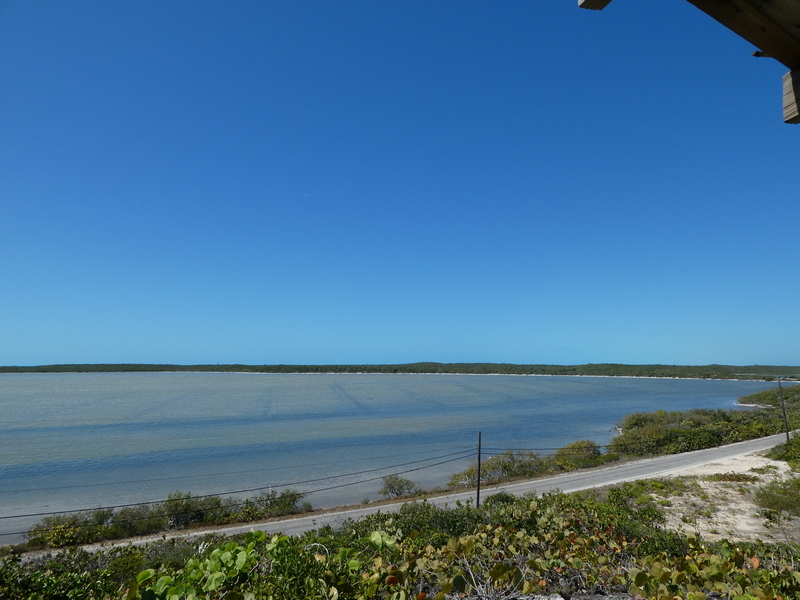 The topography was perfect as many Bahamian islands had huge, natural “ponds” near sea level which would flood & drain every tide cycle. Back then salt was good – not bad – as it was the most reliable way to preserve food. It was so valuable that departing ships would be escorted by gun ships to protect their cargo from those nasty pirates hangin’ about. If you look very carefully at the photo of the old salt flats, you can make out faint lines in the water – those are the remnants of the walls between the rows of the old salt flats. It was quite the process to dry & rake & dry & rake again & process the drying salt. That “growth” on the roof is a termite mound. 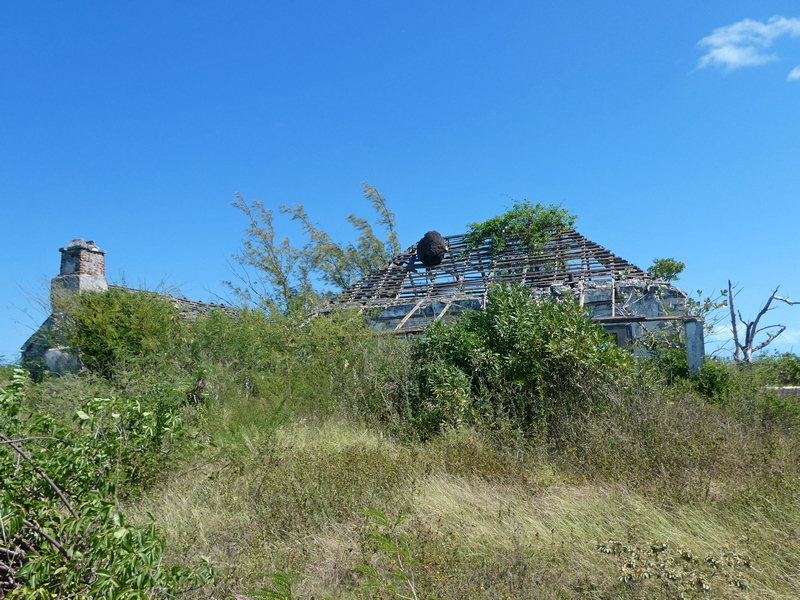 Lastly, we stopped at a “Bahamas Heritage Site” – we think – no signs or preservation. This was an old plantation of Loyalists. After the American Revolution, Loyalists (faithful to the British Crown) weren’t too popular back in the new United States of America so many went into exile in the Bahamas, where the Crown granted them land (England owned the Bahamas back then). Among them were some wealthy plantation owners who escaped to the Bahamas bringing their slaves. They foolishly thought they could continue on, growing cotton in a new world. Unfortunately, the soil sucked & while some tried other farming, nothing was very successful. Eventually the owners gave up & their land was divided up & deeded to their former slaves, however they had no sailing sloops to provision in Nassau (as their plantation owners had done) or money to pay for supplies even if they could. It must have been a tough existence until sponging, working the salt flats, fishing & other endeavors allowed them to push towards their future. 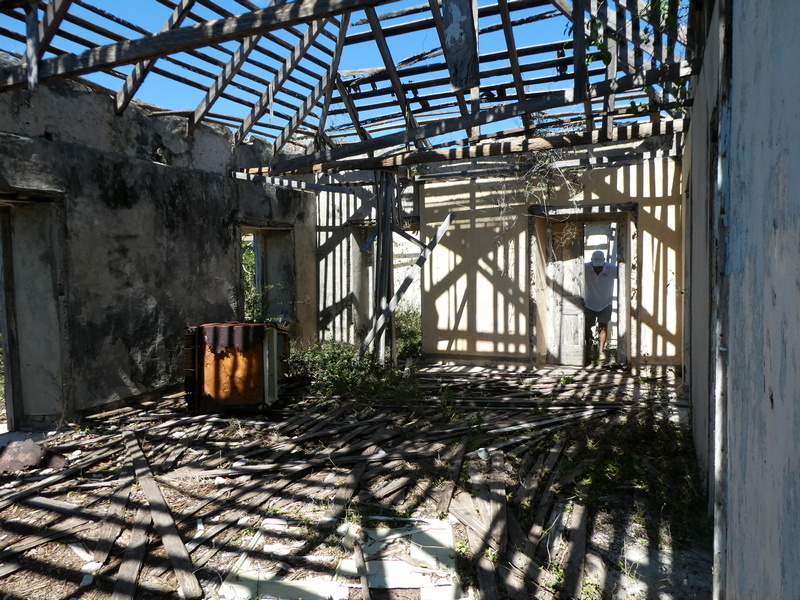 We’re finally leaving George Town, Great Exuma, heading toward Eleuthera.